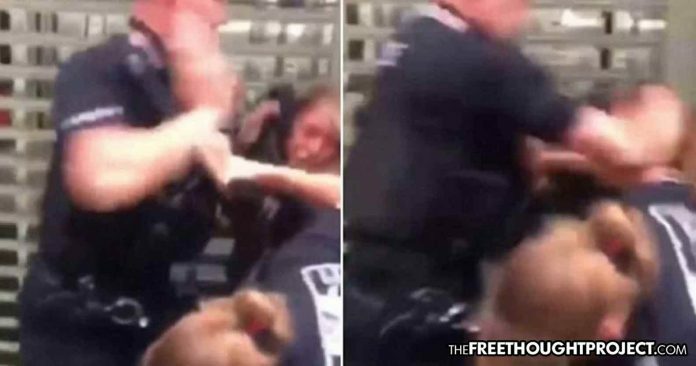 Graphic video of a police officer hitting a 14-year-old girl in her face has sparked a firestorm of debate online with both support and ire for the officer. Debate has sparked online with many people calling for an officer to be fired while others are defending him after he was seen on video hitting a 14-year-old girl in the face during a violent arrest. Eventually, more officers arrive the they are able to arrest the 14-year-old girl. According to police, the girl and a 52-year-old woman were arrested for suspicion of assault on a police officer.